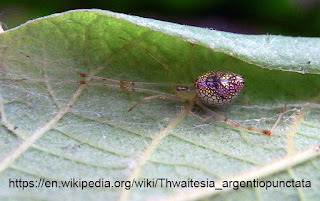 Thwaitesia argentiopunctata is commonly known as the mirror spider. It gets this name from the reflective patches on their abdomen, which resembles little mirrors. 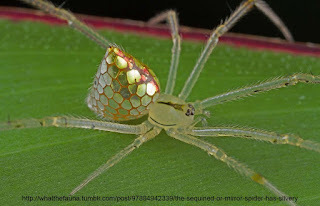 The little mirrors grow larger when they feel threatened. The mirror spider is found all over Australia.